West Milford High School has new leaders walking the halls this year. Former Macopin Principal, Mr. Matthew Strianse, took over the helm from the high school’s most recent principal, Mr. Paul Gorksi. Strianse worked at Macopin as an assistant principal for three years, and before that he was the assistant principal at West Milford for seven years. Before that he was a physical education teacher at Upper Greenwood Lake for seven years. 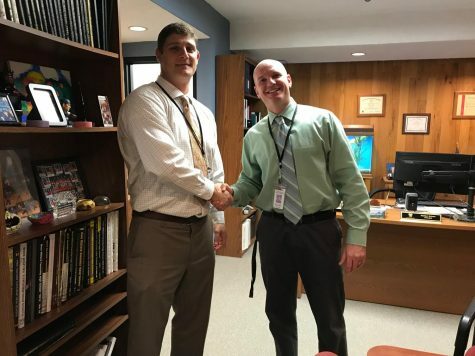 Mr. John Shutte also joined the staff as an assistant principal, and along with Nicholas Pollaro, the administrative dream team has come together. Strianse is very passionate about celebrating each and everyone’s extracurriculars. He watches and plays baseball, and is an avid Yankees fan. He enjoys going to the sporting events, fundraisers, and academic award ceremonies that the school hosts. 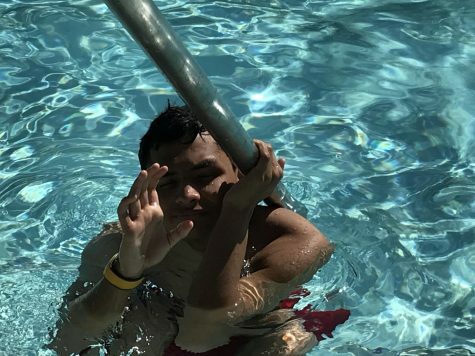 Strianse appreciates the amount of effort each student dedicates to his or her classes, and understands how hard it can be to balance everything. 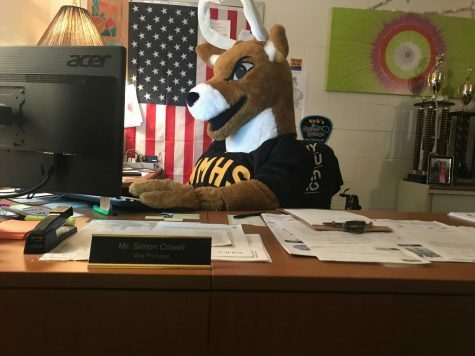 He states, “I am always here to help you succeed.” He wants students to know they can come to him with any issues and that his door is always open. 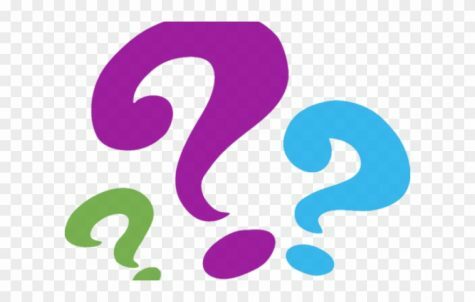 Strianse has already started to make changes to the high school, for example, the seniors now have assigned parking spots and the juniors will receive them soon after. The late policy has been changed as well as project graduation is being revamped. He is also planning to enter West Milford as a National School of Character. He is hoping this will not only build character in the school but will also help get West Milford get the recognition it deserves. John Shutte has also joined the administrative team at West Milford as well. Shutte used to be a history teacher in Rahway High School for fifteen years and coached softball and wrestling there. Shutte attended Rutgers University, there he wrestled in 1997 and 1999, he also played football for one year. After he attended Rutgers he went to Scranton University for his masters degree in educational administration. He loves watching and supporting the Scarlet Knights. He also enjoys playing golf and fishing in his free time. He is looking forward to supporting the students through their sports and activities. 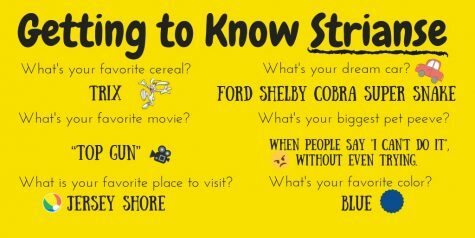 He is hoping to help students feel comfortable in the environment and encourages students to get involved in activities. Shutte also wants to establish open and supportive relationships with students as well as teachers. Although he hasn’t been in West Milford for a long time, he sees how beautiful the town is and all the opportunities the school offers. Shutte, as well as Strianse, are looking forward to the coming years! These new leaders have been welcomed with open arms. The student body of West Milford have enjoyed the new leadership so far; they feel the environment has become more positive and open. The students are also able to see how open both administrators have been to change.